At the end of February MWC2019, many mobile phone manufacturers are ready to release new phones, including the LG in the mobile phone market, the gradual decline LG will release the LG G8 ThinQ flagship phone on the MWC2019. 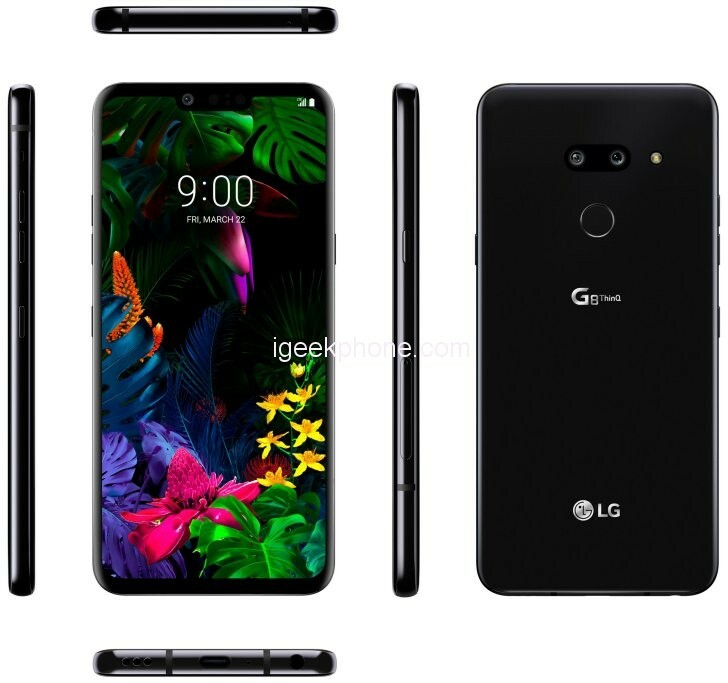 The appearance of the LG G8 ThinQ has been exposed, just now, Twitter broke the news @Evan Blass released a LG G8 ThinQ HD rendering, some details of the phone rendering can be confirmed, as shown below, the LG G8 has a rear dual camera Before the bangs full screen, the bangs position has a more obvious front camera (left side of the bangs). LG has previously confirmed the use of Infineon’s REAL3 image sensor chip, based on Infineon and pmdtechnologies in the processing of 3D point cloud algorithm (a set of spatial data points generated by 3D scanning), thus the LG G8 ThinQ The depth perception of the front camera. The bottom left side is the speaker opening, the middle is Type C interface, and the right side is the 3.5mm headphone hole. The volume button on the left side of the phones, the Google Assistant dedicated button, the power button is located on the right side. From the picture, the LG G8 ThinQ seems to have adopted the design of the curved screen, and the edges of the screen have an obvious curved surface. Foreign media predict that the price of this phone in the United States will reach 899 US dollars, consistent with last year’s LG V40 ThinQ. Of course, the LG G8 ThinQ is unlikely to enter the domestic market. Students who like this mobile phone seem to have to wait for the release of Haitao after half a year.